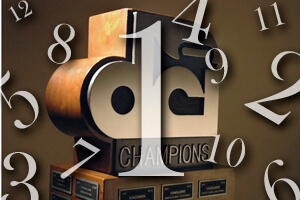 Now that Drum Corps International's World and Open Class corps have been out on the 2009 DCI Tour for a few weeks, you can once again check out DCI.org's rankings feature to see how your favorite corps are stacking up to the competition. Using a formula that averages a one week period worth of scores, fans can see a corps' total average in addition to individual breakdowns for each adjudication caption – from brass and percussion, to general effect, and more. Updated immediately when scores are posted, this section of DCI.org is sure to keep you on the edge of your seat and entertained as corps make their way to the World Championships in Indianapolis this August. Check out the DCI.org rankings system now!